As technology and camera resolution gets better every day, 4K Video is a treat for the eye. 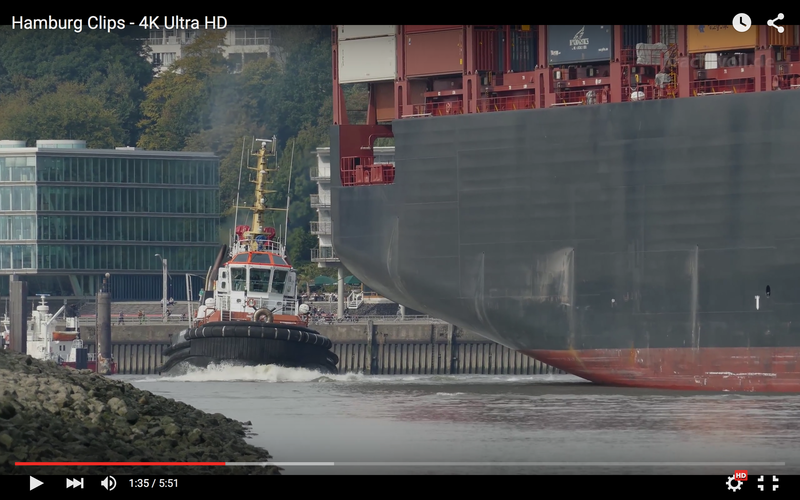 Enjoy this video by Andreas Vallbracht of the Hamburg Harbor and various other highlights of this possible Olympic host city. Currently the city is preparing for the official application. The Olympics (2024) would be such a great boost for the city, not just for tourism, but for business of course as well. In the past years, the number of hotels has grown dramatically, however there is no end in sight. The good thing though, is that visitor numbers are continuing to climb. It sis not only the German speaking countries boosting the visitor numbers, Holland, Denmark & UK are markets with great numbers of growth according to the Hamburg Convention & Visitors Bureau. As the Hamburg Marketing body continuous to be active, reasons for visiting Hamburg are growing as well.